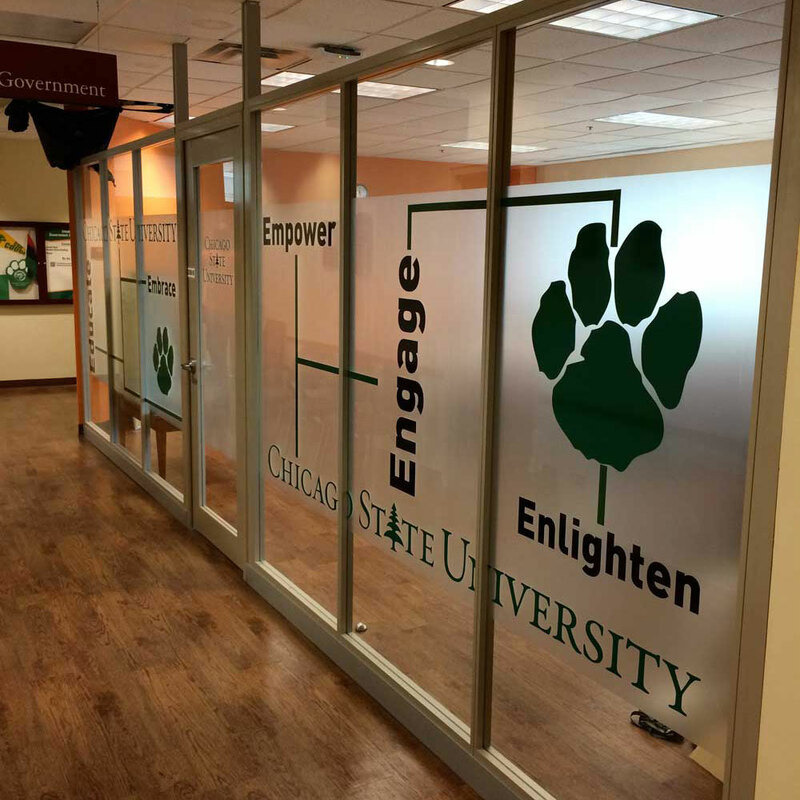 One of the most versatile marketing tools, window graphics are durable when exposed to sunlight and quick to install. 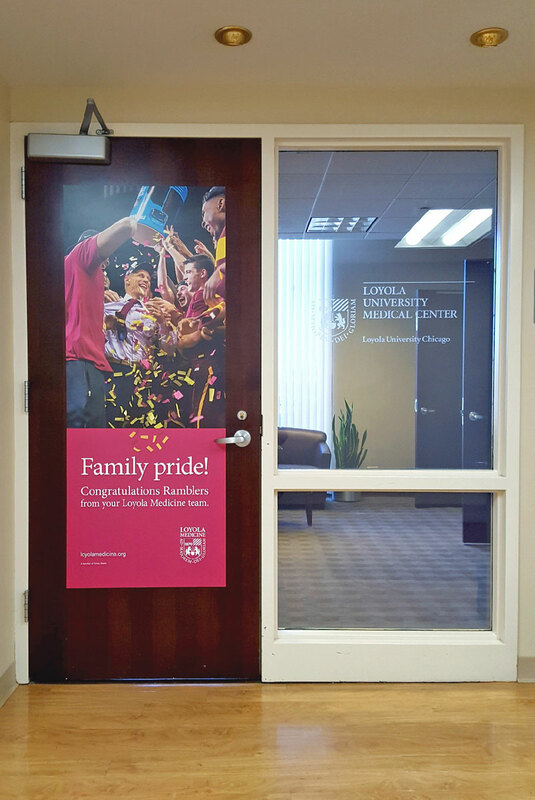 Full color graphics allow your artwork, branding, and message to be advertised in a colorful, eye-catching way. 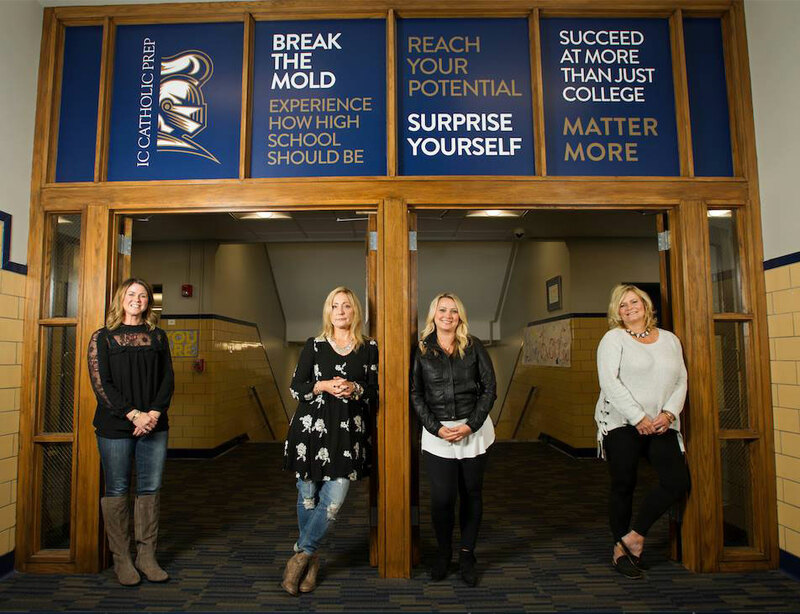 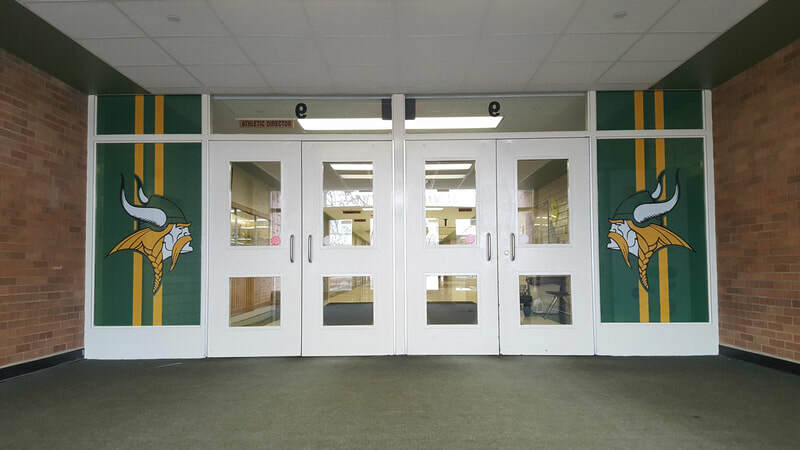 Cover an entire window or create custom die-cut shapes of your logo on the inside or outside of your windows. 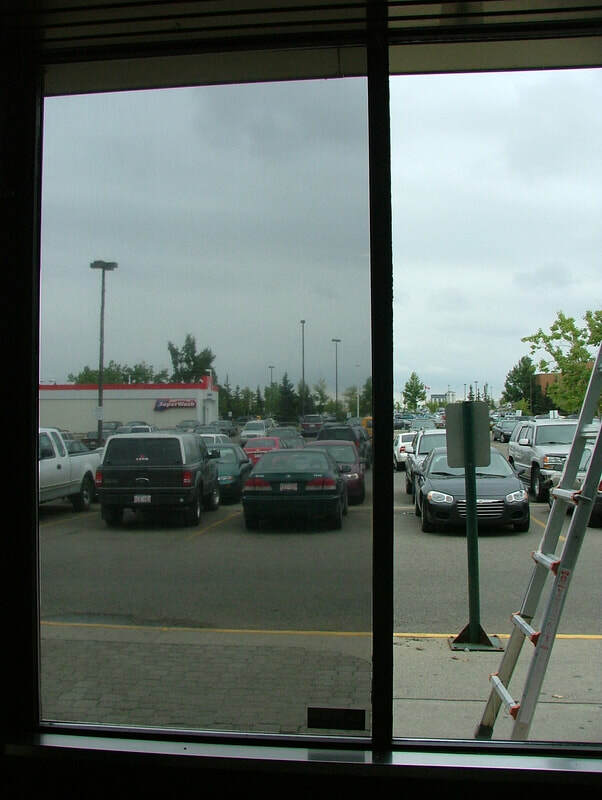 Below are a few of our most popular applications for windows. 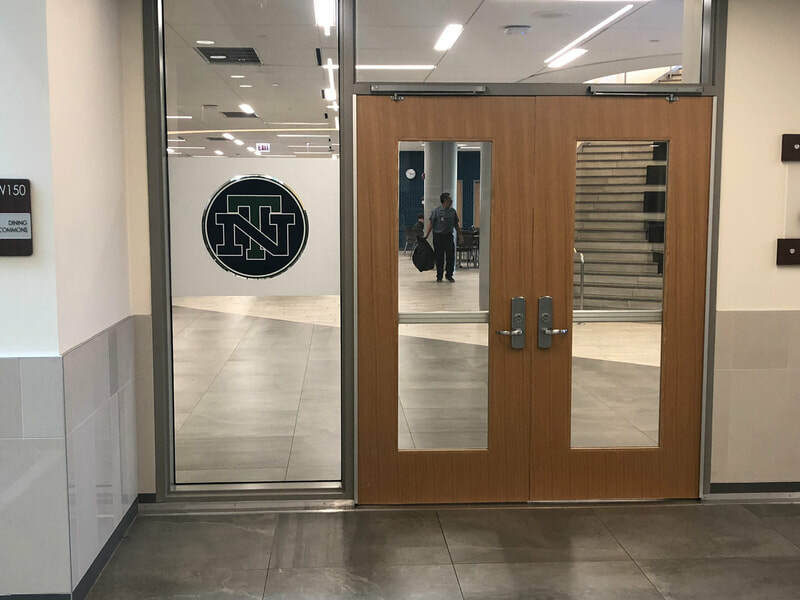 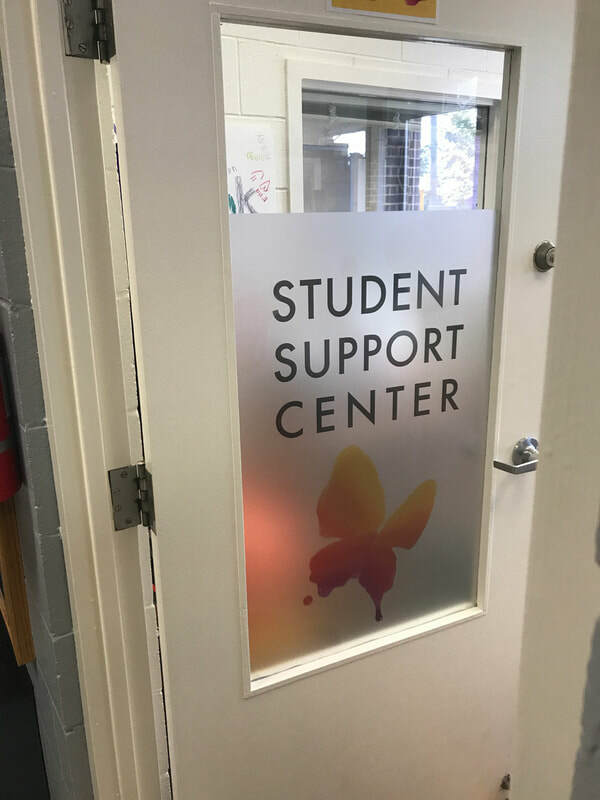 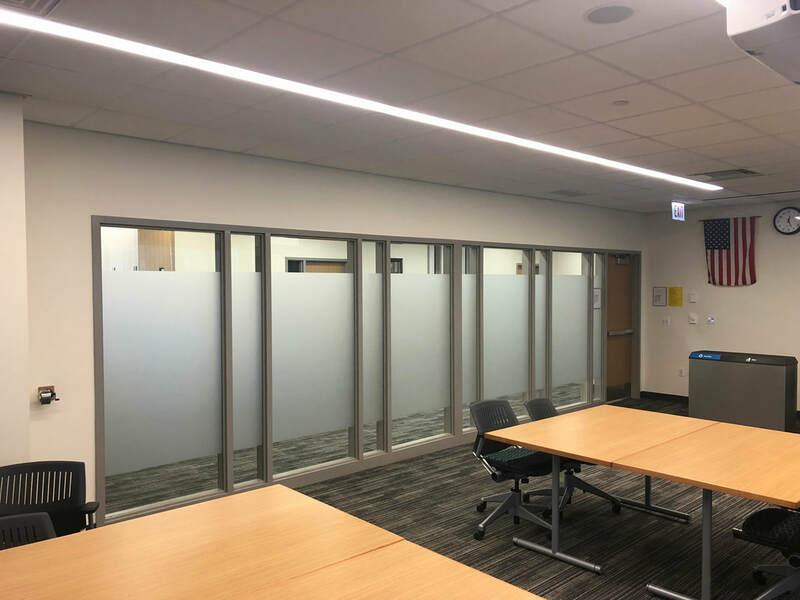 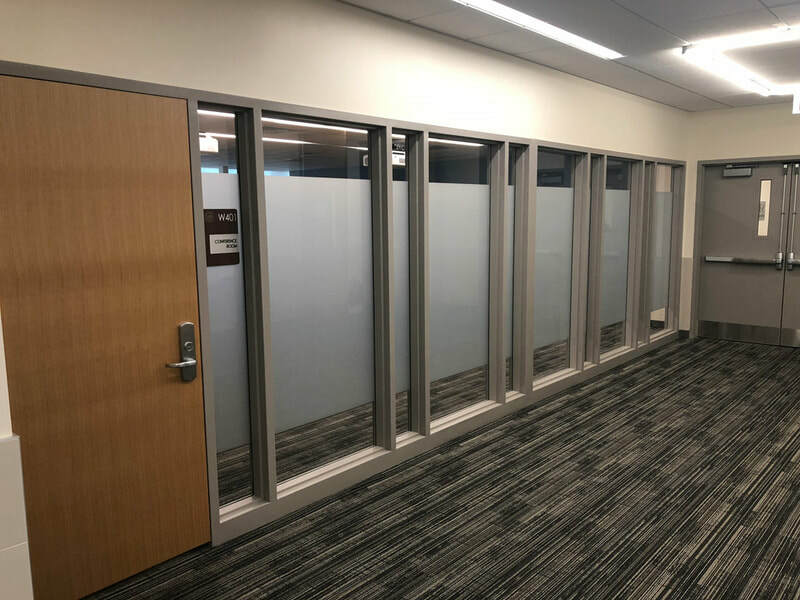 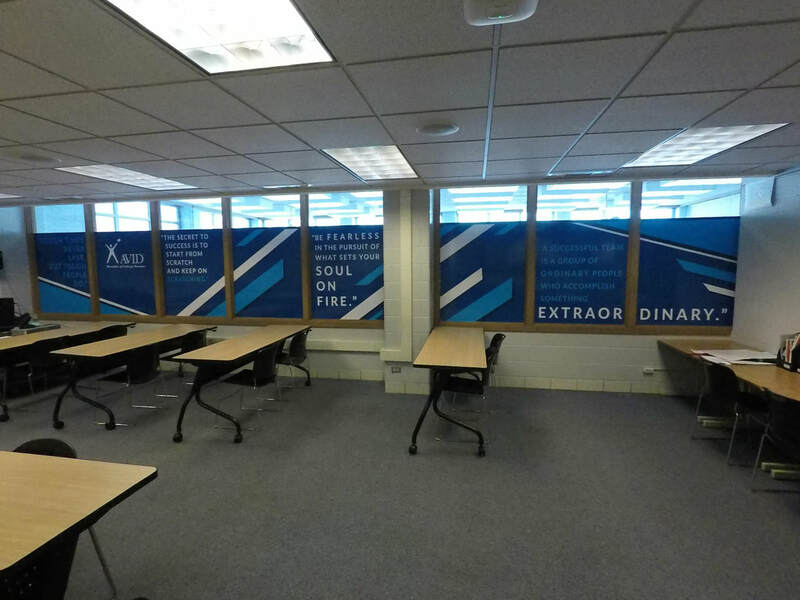 If you are not concerned about the need to look outside the window, we can print and apply a more opaque window graphics. 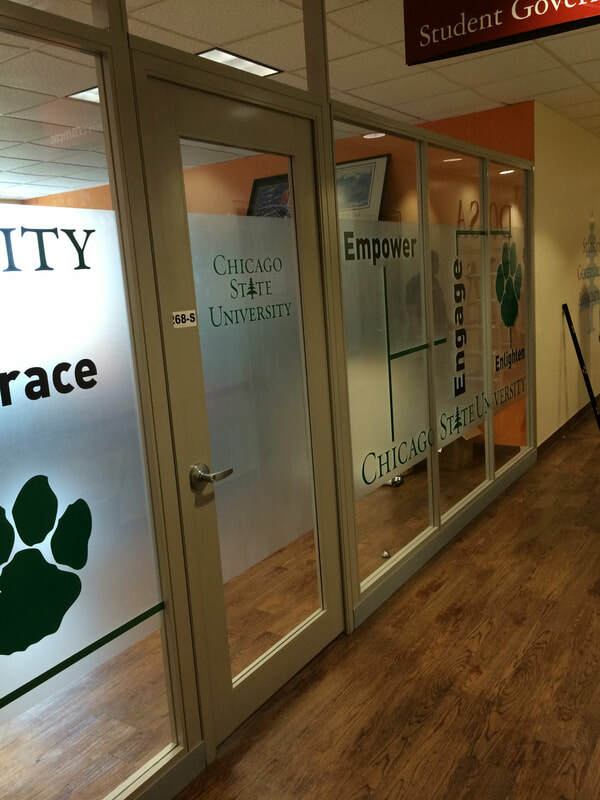 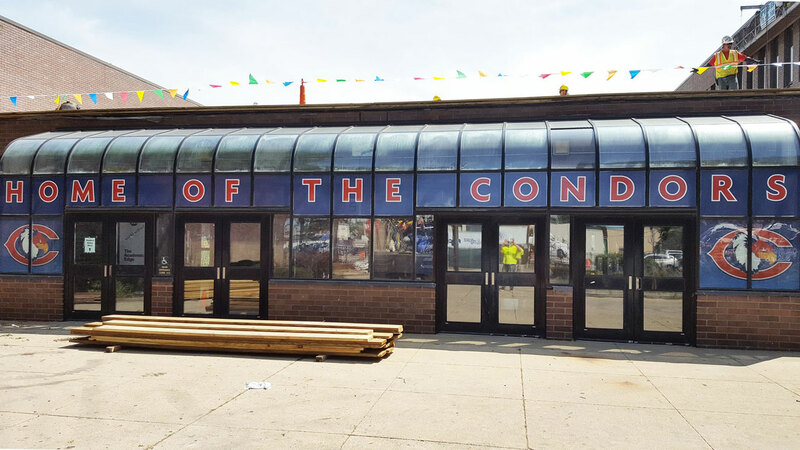 Full color opaque window graphics allow your artwork, branding, and message to be advertised in a colorful and eye-catching way. 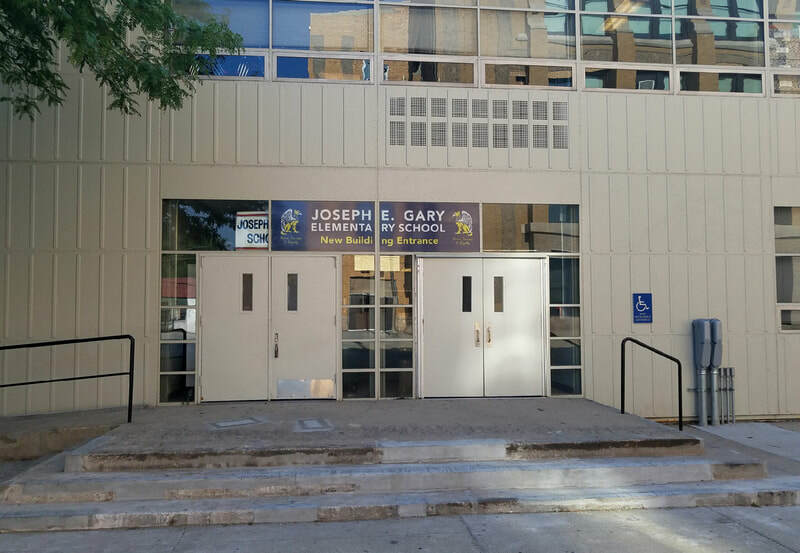 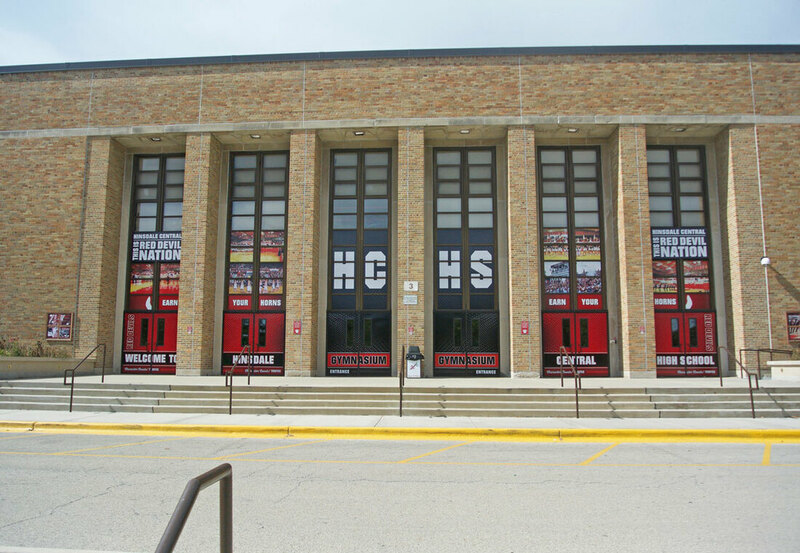 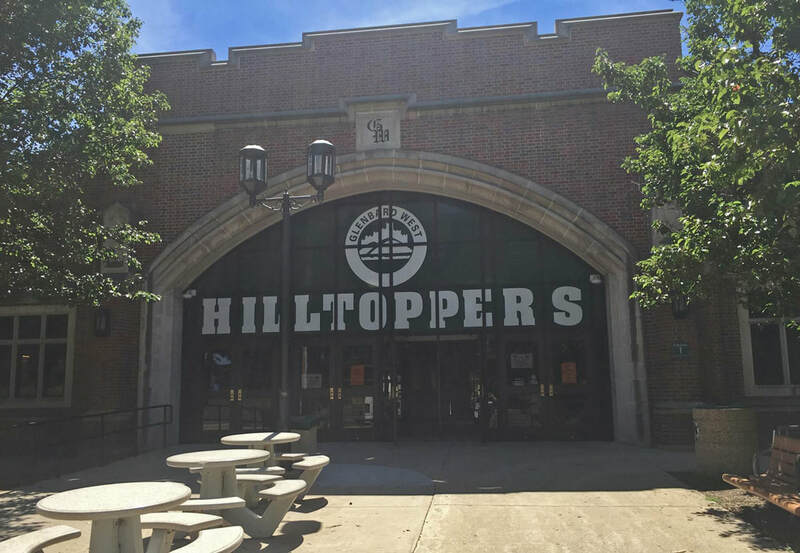 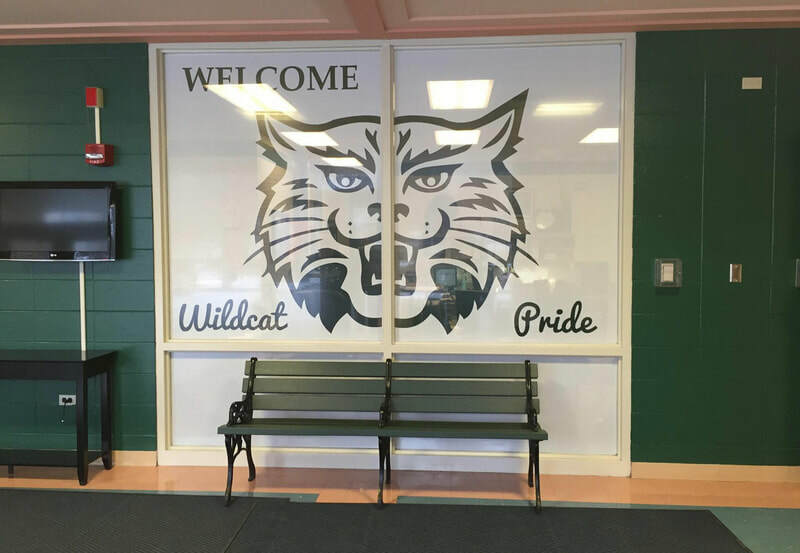 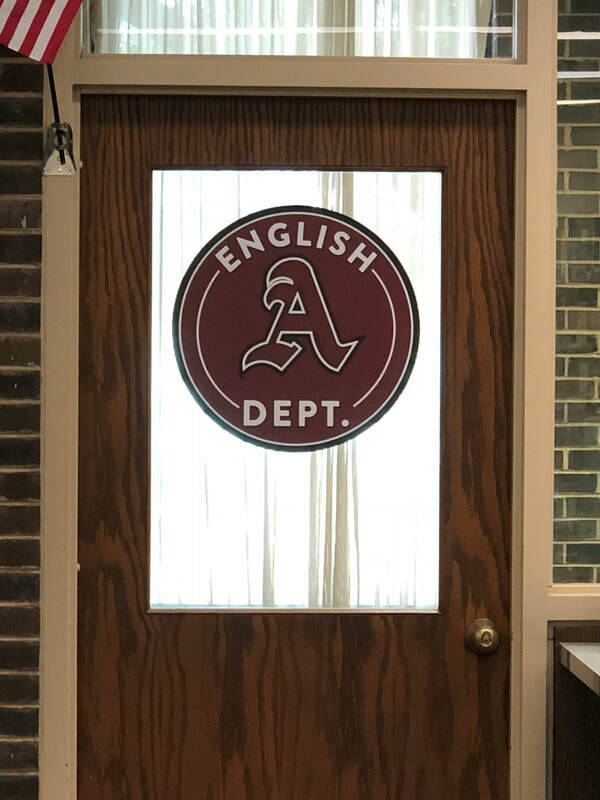 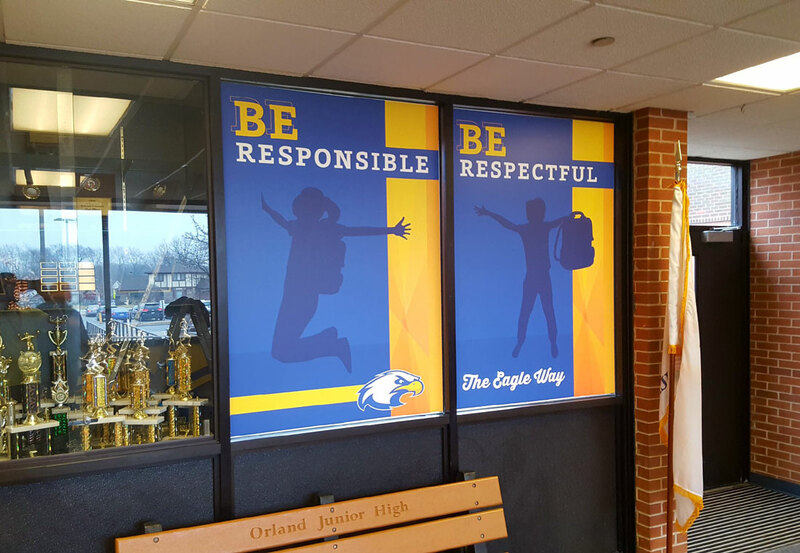 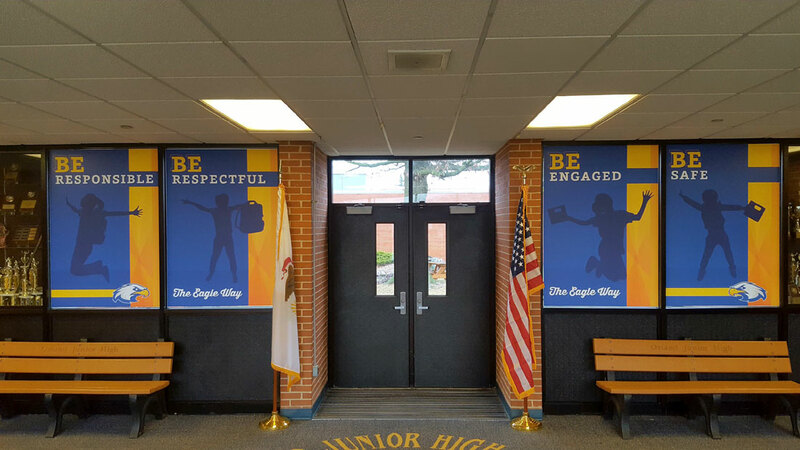 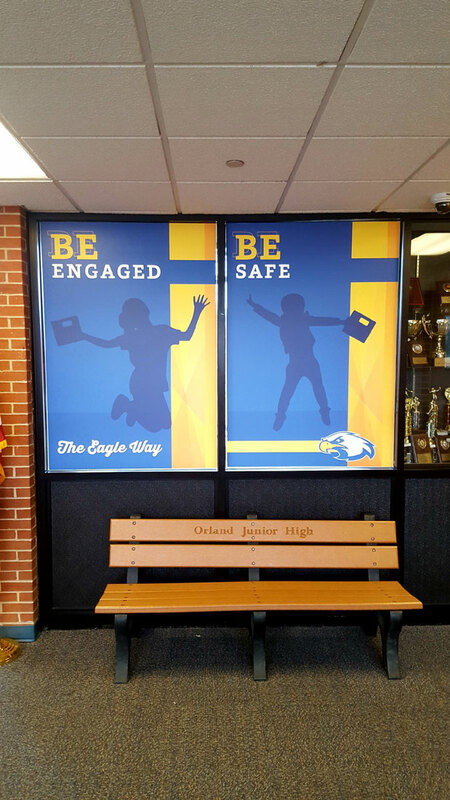 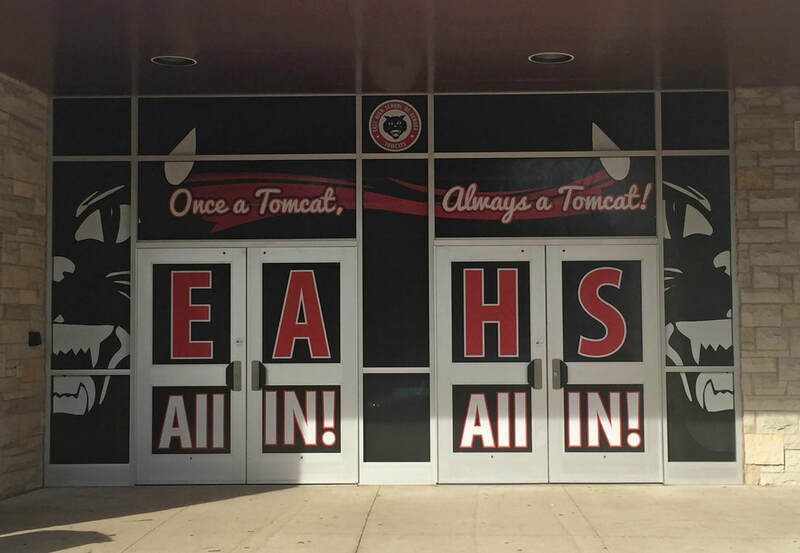 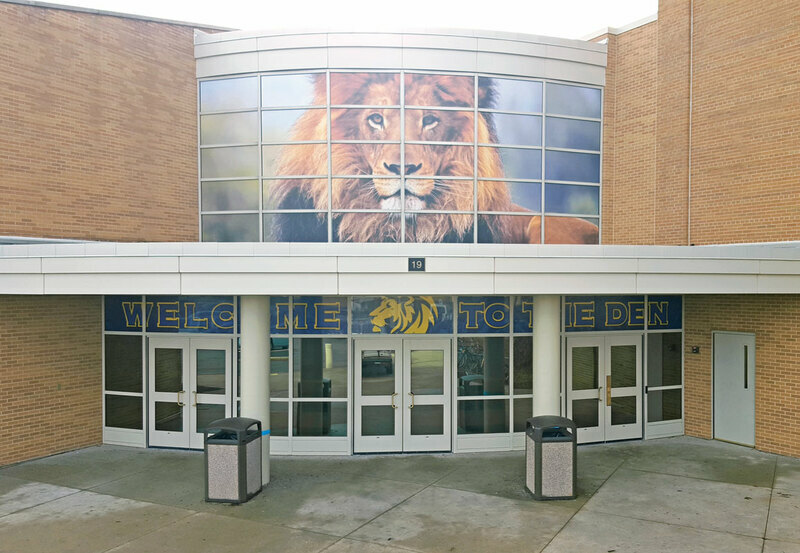 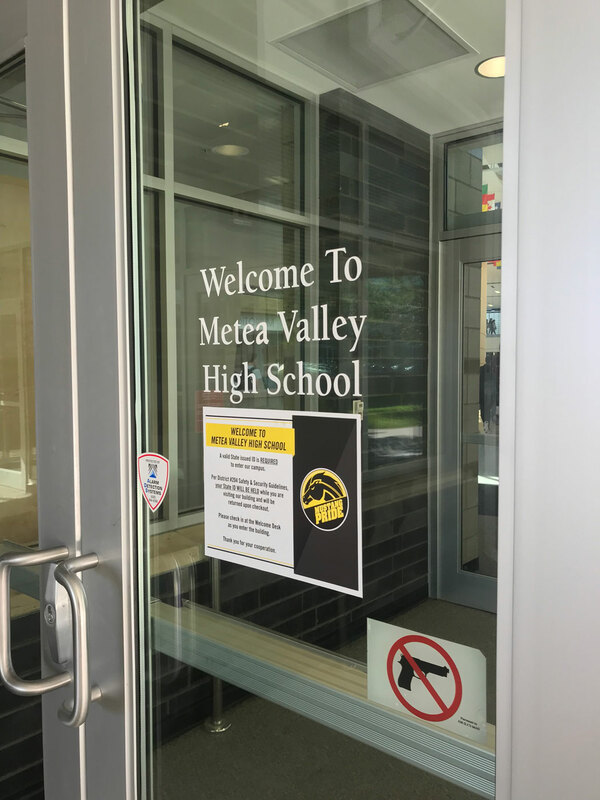 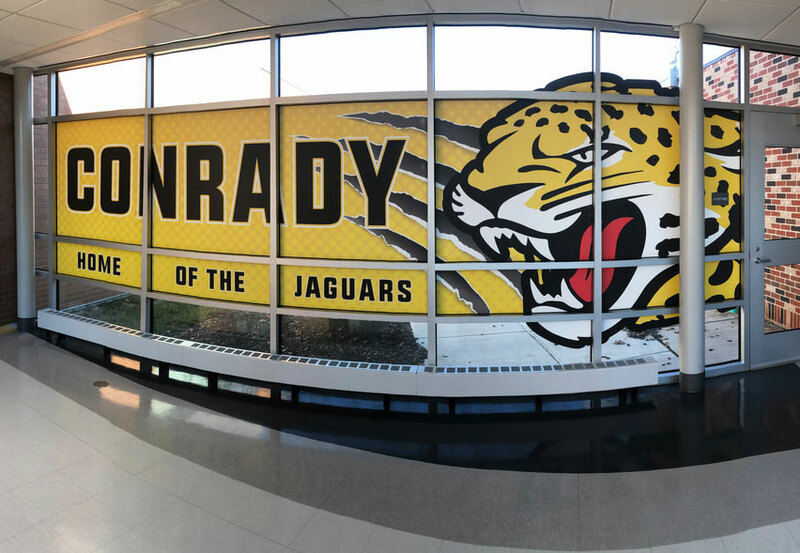 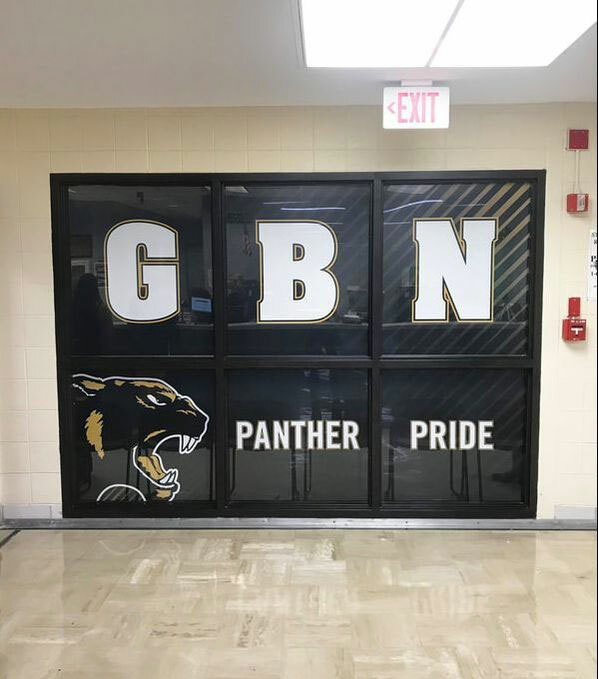 These graphics are great for advertising or just dressing up the exterior windows of your school or office. 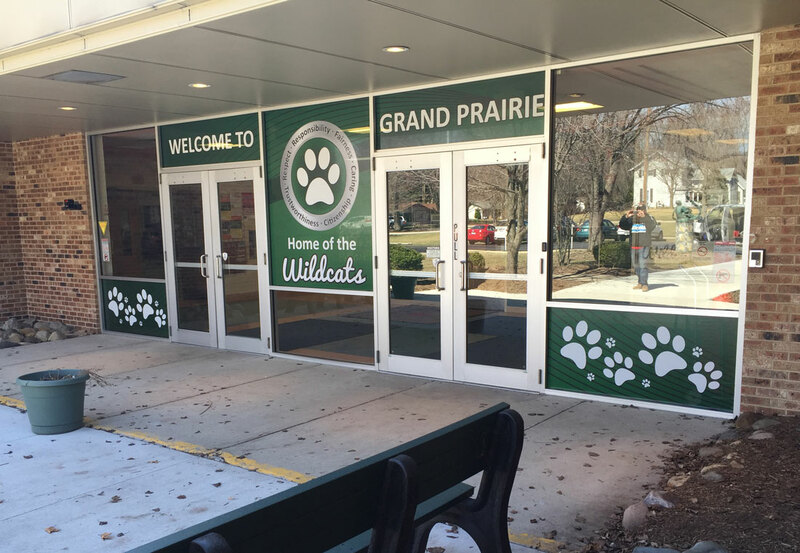 Wrap or cover an entire window, or create custom die-cut shapes. 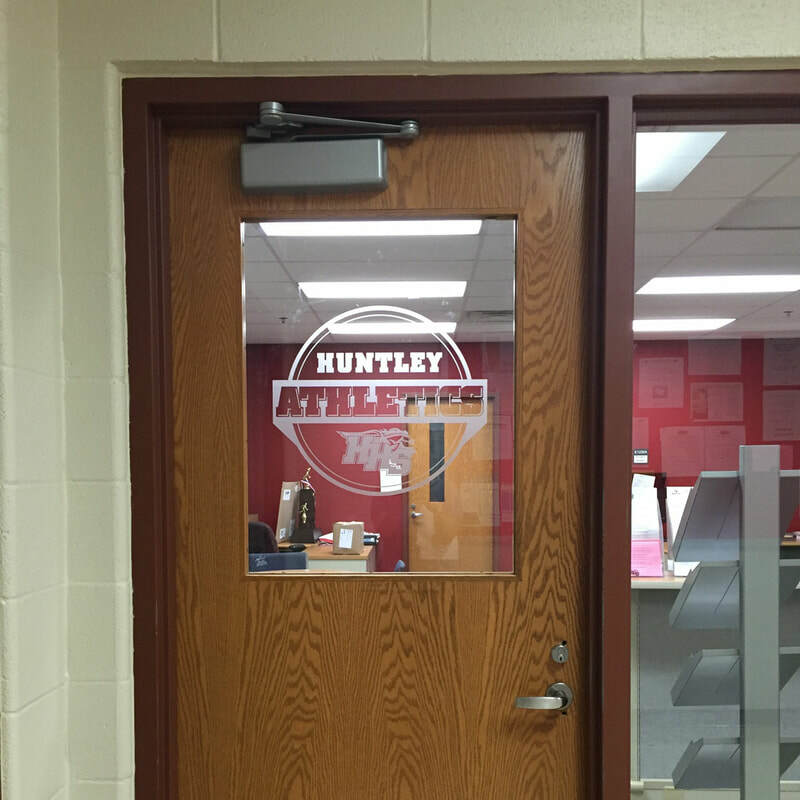 A perforated window decal is an image or graphic that is printed directly onto perforated, adhesive vinyl material. 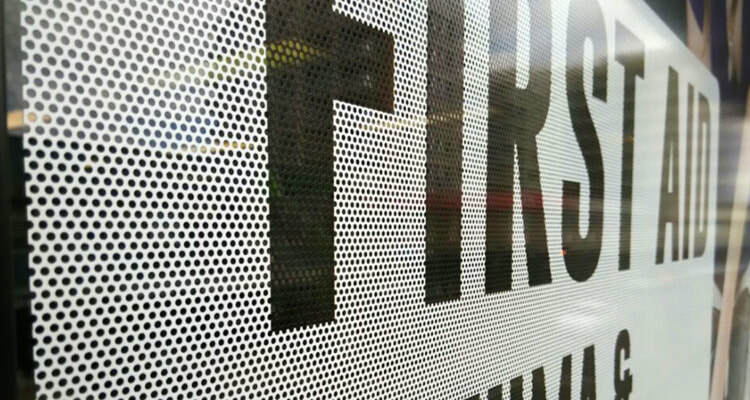 These decals feature one-way vision, allowing you to see outside the window when in your store but not inside when approaching your store. 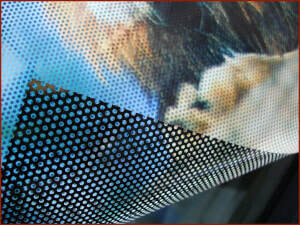 This film maintains consistent color under both transmitted and reflected lighting conditions. 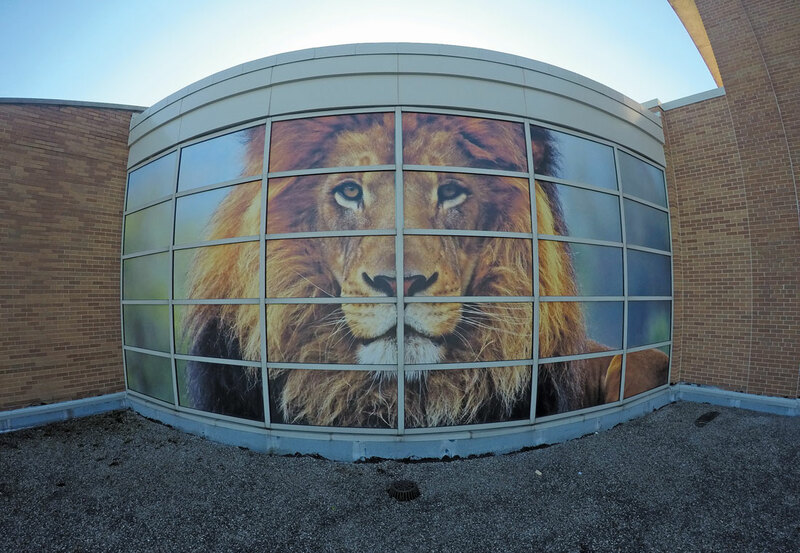 Showcase a vibrant image during the day and an illuminated image at night. 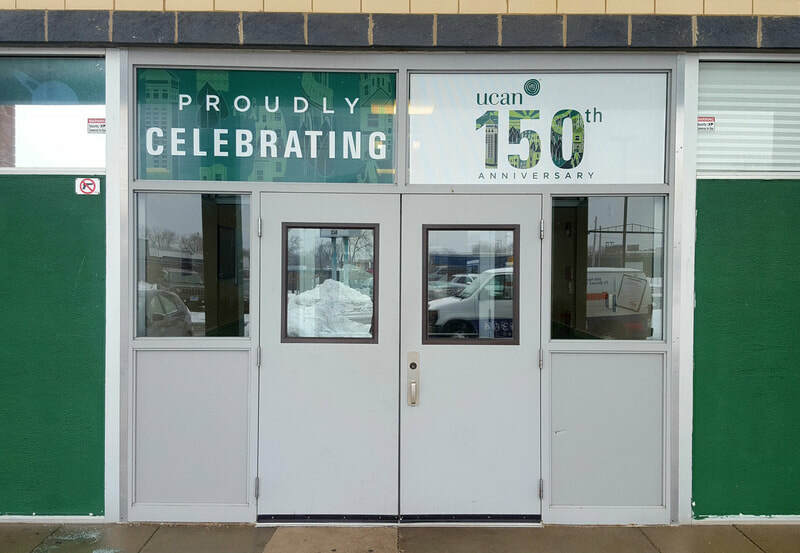 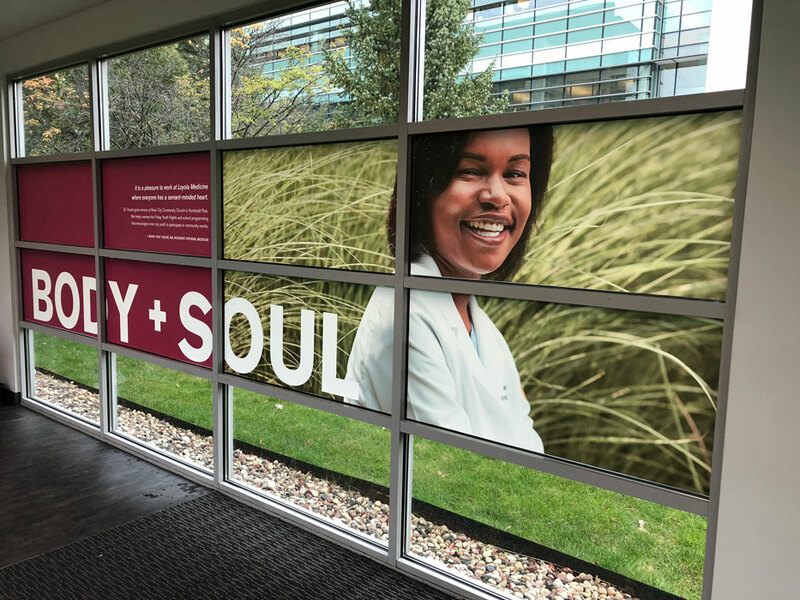 Second Surface Printing on vinyl allows for signs to be displays from the inside of a window – protecting the print from weather conditions. 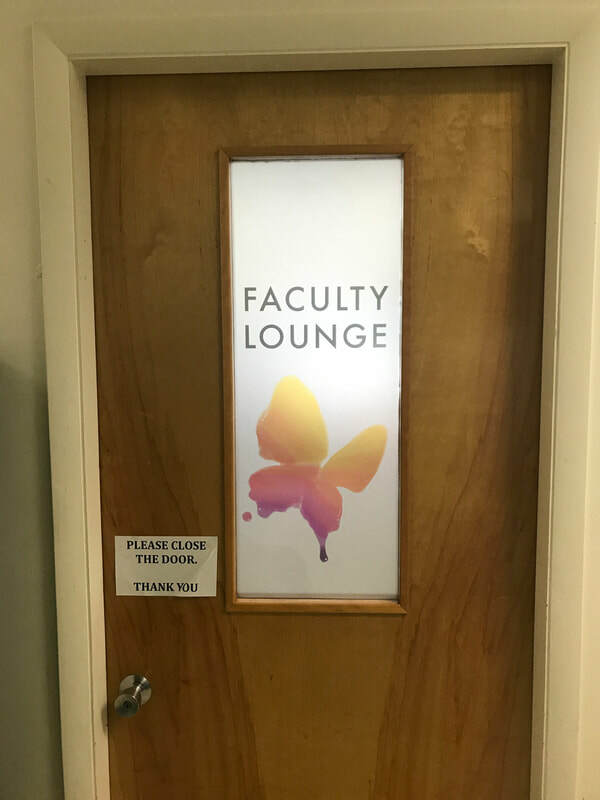 Printing on the back of the material gives the sign a more finished, modern look vs. traditional first surface printing.